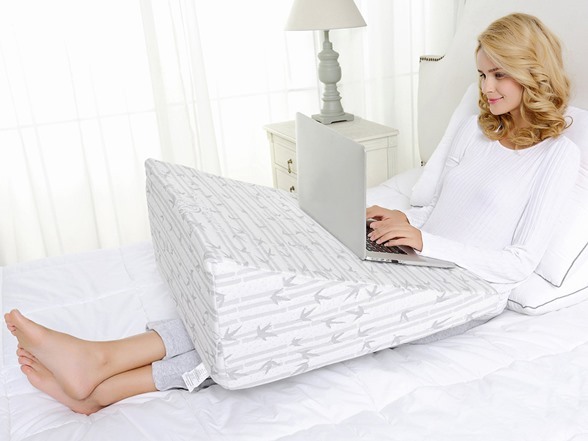 Find ultimate relaxation with this memory foam wedge pillow! It is the change you have been waiting for. Its shape keeps your upper body raised for comfort and easier breathing. 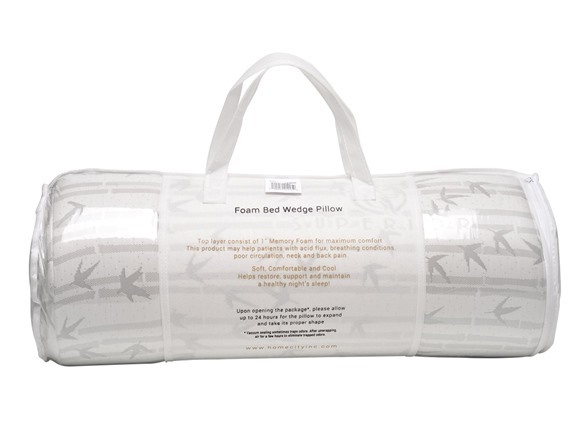 The memory foam material is heat sensitive so your body heat will actually make the pillow even softer. Not to mention this cozy pillow is also fashioned with a removable machine washable cover made of a soothing combination of microfiber and Rayon from bamboo. 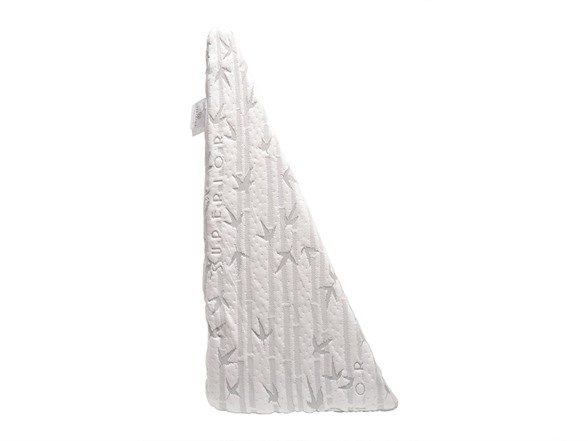 Rest Peacefully: Our wedge-shaped pillow measures 12 inches thick at its base to provide superior support. Perfect for relieving pressure from your back and hips, helping swollen ankles, and reducing discomfort from acid reflux and heartburn. Sleep Soundly: This pillow's Rayon from Bamboo and Microfiber cover is breathable and washable. Our innovative built-in channels in the foam provide air circulation to help your pillow stay cool throughout the night. 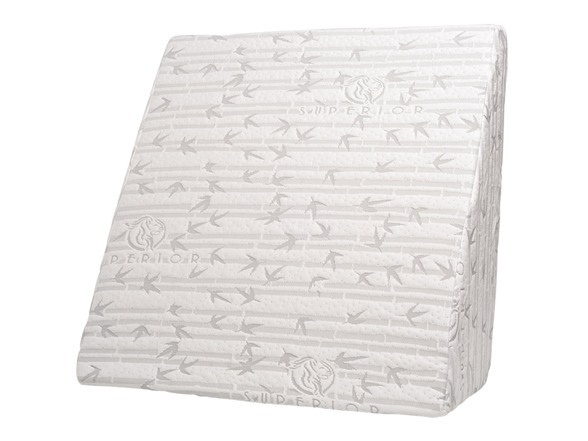 Memory wedge foam pillow features a 2-layer foam design for firmness and support.